The Conservative government's tough rhetoric over Russia’s actions in the Ukraine may play well to some voters domestically, but analysts doubt it will have any impact on curtailing Moscow's policies in the region. The Conservative government's tough rhetoric over Russia’s actions in Ukraine may play well to some voters domestically, but analysts doubt it will have any impact on curtailing Moscow's policies in the region. "I think the only people Putin’s going to pay any attention to, if he pays any attention at all, are going to be the United States and the European Union, above all Germany," said Randall Hansen, director of the University of Toronto's Centre for European, Russian and Eurasian Studies. "The United States, because it’s the global super power, and Germany because it’s a major importer of Russian gas, which on the one hand gives Putin leverage, and on the other hand, he's also dependent on Germany. ANALYSIS: If NATO calls, will Canada stand by Ukraine? Earlier this week, Prime Minister Stephen Harper ramped up the tough talk against Moscow, blaming the recent occupation of government buildings in 10 cities in eastern Ukraine on "Russian provocateurs sent by the Putin regime." "When a major power acts in a way that is so clearly aggressive, militaristic, and imperialistic, this represents a significant threat to the peace and stability of the world, and it's time we all recognized the depth and the seriousness of that threat," Harper said. The prime minister added that, "we also know from history that anybody who makes it their historical mission to turn the clock back, as Mr. Putin has determined to do, that those kinds of missions always fail in the end. But we will do all in our power to make it fail." Foreign Affairs Minister John Baird has also spoken out strongly against Russia. In the early stages of the crisis, Baird compared Russia's troop presence in Ukraine's Crimean Peninsula to Hitler's 1938 invasion of Sudetenland, a part of the former Czechoslovakia. 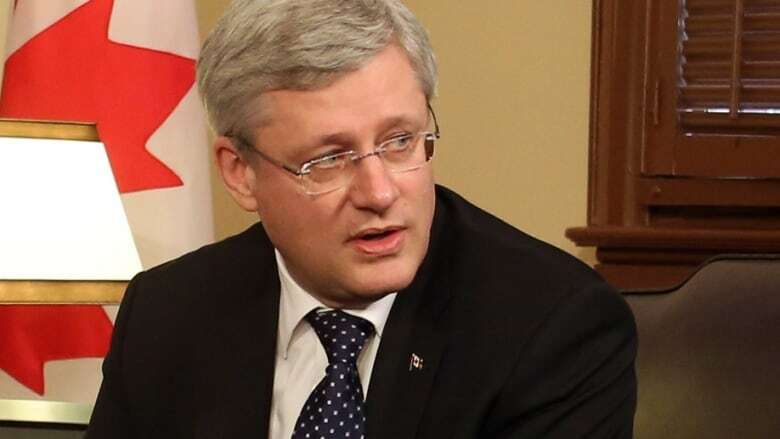 Canada has subsequently imposed economic sanctions and travel bans against Russian officials. But while Canada can talk tough, it doesn't have any particular leverage over Russia, Hansen said. "We're too small. We don't ship them any resources, indeed we're competitors for the sale of resources globally," he said. Jeff Sahadeo, director of Carleton University's Institute of European, Russian and Eurasian Studies, agreed that the condemnations from Canada will not influence Russian policy . "I don't think it does anything for the Russians. If anything it confirms their narrative that no matter what they do they're demonized by Western countries for acts that are similar to the ones that other countries undertake." Piotr Dutkiewicz, a political science professor at Carleton and the former director of the Institute of European, Russian and Eurasian Studies, said it's relatively easy for the government to criticize because Canada doesn't have extensive economic relations with Russia and there are no large Russian investments in Canada. However, he notes that Canadian companies do have $3-billion worth of investment in Russia and the government should take that into consideration when speaking out. "I think we should take a more balanced, I’m not saying uncritical, I’m saying more balanced position, taking into the equation Canadian interests in Russia," Dutkiewicz said. "If the Canadian government decides to be critical it should be critical, but at the same time we should watch what others are doing and how, by our criticisms, we’re really helping Ukraine." Dutkiewicz said that Canada is losing its reputation as a negotiator and instead is engaging in rhetoric stronger than that of the U.S., Germany or France. “With their very heated rhetoric and no action we’re becoming a paper tiger in this process," he said. "I really don’t like Canada to be seen as a paper tiger who is roaring without having any tools to implement its outrage." But the experts agreed that the government's words have little to do with foreign policy. "Harper and Baird, I think, are both principled democrats and have a principled commitment to liberal democracies such as Israel and a principled opposition to autocratic governments," Hansen said. "But this is really about domestic politics. So they're making a play to the Ukrainian community in Canada."